The Fort Nisqually Foundation's goal is to support the restoration, preservation, historical interpretation and education programs of the Fort Nisqually Living History Museum. Now is the time to support a great cause! The Fort Nisqually Foundation is always seeking ways to support the excellent programming of the Fort Nisqually Living History Museum. 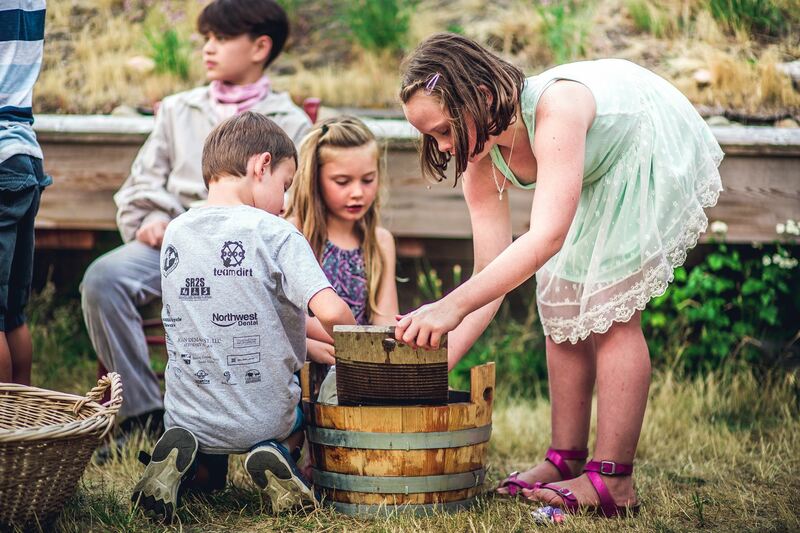 Your generous, tax deductible, contributions are used to support our mission of restoration, preservation, interpretation and education of Fort Nisqually. Fort Nisqually Foundation supports the region's premiere living history museum: Fort Nisqually. We support their year-round programs, events and classes that highlight all aspects of 19th century life on Puget Sound. We invite you to join the Fort Nisqually Foundation and use your membership to visit all year long for free. In joining us you are supporting the outstanding efforts of the staff and volunteers who bring history to life. Want more info? Sign up to receive Fort News email! Click the links below to find ways to give to the Fort Nisqually Foundation while doing your normal shopping. Click on the link to GTCF to find out how you can contribute to one of our endowments or add us to your estate planning for the future. Dr. Jerry Ramsey and Elaine Perdue Ramsey fund for Fort Nisqually.